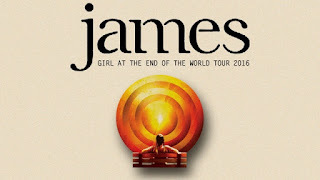 The Marple Leaf: James at the Arena - "Do the hits FFS"
James were immense at the Manchester Arena last night. The emotional heights they reach on some of their anthems have always and rather obviously been the mainstay of their appeal, but even for us old rockers the show goes on. I'm in two minds about the live music "experience". The high standard of musicianship, staging and performance is now a given. Two and a half hours of brilliance from the stage. But that's not what takes the edge off it. So I thought I'd do a blog review as if it was done by the bloke sat next to me. "Went to James last night. Had to wait ages for them to do Sit Down, after they did a load of new stuff and got the fiddles out for She's A Star and ruined it. If I wanted to see the Waterboys I'd stand in a field and chew grass. James don't do fiddles. And they didn't play Laid which me and our lass like. And they started Sit Down off dead slow, as if they don't really want to do it. Got what I came for though and filmed the whole thing on my camera phone, but it's probably ruined by the bloke next to me pushing me away and holding his hand up to hide his eyes from the flash light. But you need that to get a good picture from the upper tier of the Nynex. Anyway, once they'd knocked that one out we left to beat the traffic. 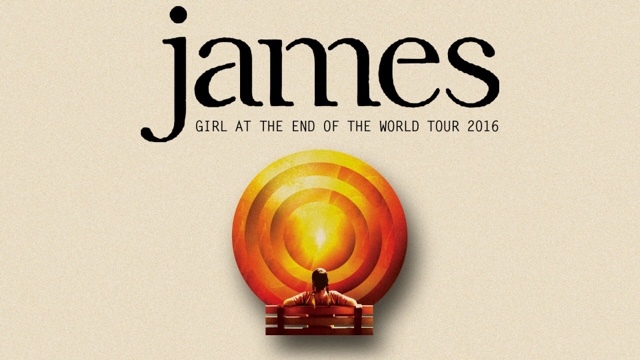 Shame, they were doing that other one off the Best of James CD (or is it Best Anthems in the World Ever 4?) as we were coming out of the bogs. At least I didn't have to queue for a slash that time. I'd been five times in all and it took ages. That's one of the upsides of them playing the new stuff, time to have a piss or get another bevy in. Support bands were rubbish. Never heard of either of them."